National standards for school lockdown procedures are beginning to emerge. However, the responsibility of developing a lockdown policy continues to lie with individual school administrators and security personnel. At Mere (UK) we offer by design, an emergency lockdown procedure to ensure that all internal and external access control doors are secured. Emergency lockdown is the facility to secure the site through a single action by disabling access through selected doors. This includes disabling exit buttons and relocking doors held open by time zones. Access control and security have always been vital ingredients for any school and is a way to control the access and egress of staff and visitors on a daily basis. In the event of an emergency, though, access control may not be enough. Beyond access control, all schools and organisations should have a lockdown strategy which determines the state of each opening of the building, both on demand or as soon as an emergency is detected. A schools ability to activate lockdown is dependent on the method of access control and the role people play in that process. Protocol must be clearly established and regularly practiced. We advise that the school administrators need to designate an individual to notify all staff, students and visitors of the situation quickly via either a public address system, school bell, intercom or by some other recognised signal throughout the school. Each layer has a set of needs that need to be implemented to assure the highest possible levels of security, safeguarding and safety during an incident. We advise that all school entrances are monitored by access control and CCTV and to restrict access via the main entrance during school hours. Installation of an intercom is also advised to safely confirm the identity of visitors and vendors before granting access. Wherever possible it is advised to create an entrance vestibule that forces visitors to be verified and checked in through the office. At Mere (UK) we consider a ‘centralised Lockdown’ to be the most secure option. It requires only a single point of accountability. Lockdown is activated via a computer or emergency button. It is also provides the fastest solution because one function simultaneously locks all access controlled doors on the network. 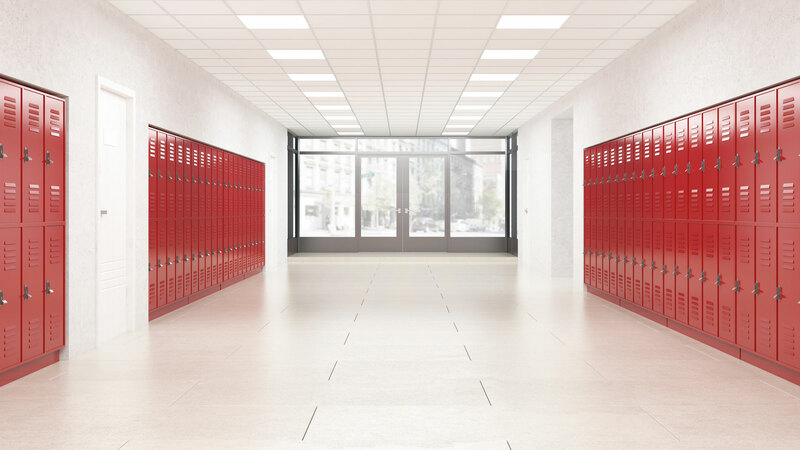 When it comes to securing a school or building, there is not a ‘one-size-fits-all’ solution. The age of the school, credential management platform and inherent protocols, budget, protection needs and long-term security strategy will need to be considered. Based on all these factors Mere (UK) will ensure peace of mind for students, staff and parents to whom we have a duty of care.